Skyler Woodward is attractively priced to win his first World Masters title in Gibraltar this weekend. The young Kentuckian finally brought his good domestic form to Europe in December in the high-pressure environment of the Mosconi Cup. He was MVP as Team America sprang an upset victory over Team Europe who had won the previous eight renewals. He has continued his good form this year. 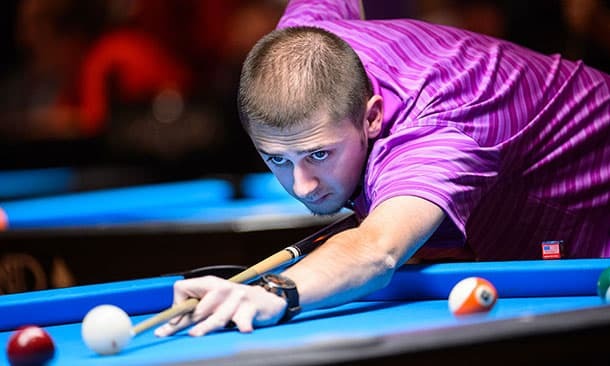 He came through a massive field to win the nine-ball tournament at the Derby City Classic in Indiana, one of the grand slam events of the American pool circuit. Nine-Ball is quick-fire, helter-skelter stuff. The pool balls numbered 1-9 are in play, the object ball is always the lowest remaining ball. Whoever pots the Nine wins the rack. Plant and Combination shots galore mean the balls aren’t always potted in exact order. Continues across various Sky Sports stations until the final session on Sunday evening 31st March. The first three rounds are the best of 13 racks (frames). For the semi-finals it is increased to best of 15, and the final is best of 17. In pool terms this is a turbo format, and games could be over in a blink of an eye. Skyler Woodward is nicely priced at 14/1 15.00 +1400 14.00 14.00 -0.07 to win his first Matchroom singles event. Whilst there are 24 players in the line-up it’s not a particularly deep field, and around ten of them have little chance. Woodward has strong credentials. Whilst he is making his debut in Gibraltar he does have plenty of experience under the Sky cameras with multiple Mosconi Cup appearances. He also reached the televised final of the 2017 World Cup of Pool, a doubles event where he partnered the great Shane van Boening. 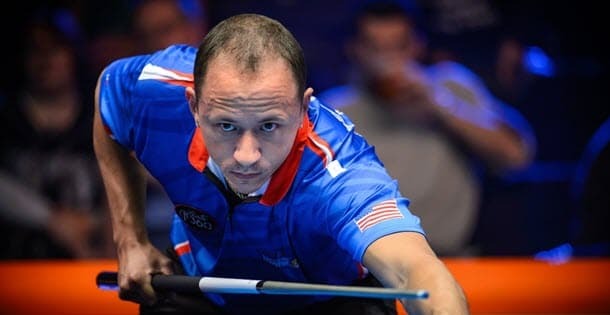 Woodward finally fulfilled his Mosconi potential with an MVP performance in a shock victory for Team USA in London in December. He has continued that form this year beating a monster field to win the Derby City Classic nine-ball event in Indiana. Everything looks primed for another deep run. Shane van Boening is an interesting contender himself. Twice a champion here, he opens up against Kelly Fisher, winner of multiple women’s cue events, including the World Snooker Championship on five occasions. If he wins that he will then play the eighth seed Han Yu, another female player. This is a kind introduction, though things will get more difficult thereafter with the likes of Jayson Shaw, Ko Pin-yi and Niels Feijen lurking in his side of the draw. He is favourite at 6/1 7.00 +600 6.00 6.00 -0.17 which seems quite tight. There are many interesting match-ups and characters in the first round. The arena will be packed when Earl The Pearl Strickland strides in for his first match, probably on Friday evening. He is very much in the veteran stage now and is an unlikely winner, but he remains box-office gold. Anything can happen when Earl takes to the pool table. It will be fascinating to see how the female players get on. Many are predicting that Chinese player Han Yu could upset Shane van Boening when they likely meet in the second round. Finally, you should try to catch Japanese player Naoyuki Oi in his game against Russian teenager Fedor Gorst. Naoyuki is the opposite of Strickland, and always plays with a smile on his face whilst still being a deadly competitor. Win or lose make sure to keep watching for his post-match interview as these can turn into fun occasions. We can be sure of a three-day feast of nine-ball action at its best as the players chase the $30,000 first prize. Can Dutchman Niels Feijen retain his crown? Will Shane van Boening win his third title? Will one of the old timers like Alex Pagulayan or Earl Strickland rediscover past glories? Or a new kid on the block? All these questions will soon be answered.